In times that you’re feeling so low that it seems that only the negative comes your way, retail therapy may be just right for you! I’d been wanting to go to Bookay-Ukay since college when I saw a photo about it on a social networking site, but never had the chance since it was far from home and I had no one interested enough to go with me. Then came last year and I thought I finally found that perfect Bookay-Ukay buddy, but sadly, our bridges burned a few weeks after we agreed on going there together. I couldn’t brave the big Quezon City on a search for it alone so I thought my desire for book-hunting at the store went to ashes along with my “incinerated” friendship. 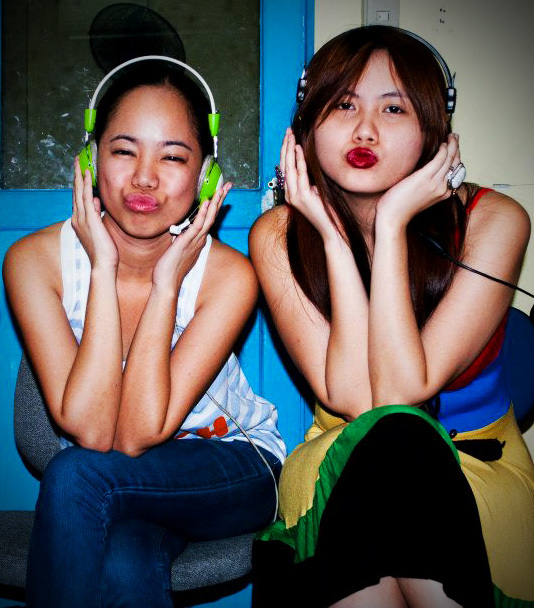 But then at the start of the year, I went excited ’cause my friend and fellow blogger invited me to visit Bookay-Ukay. So without hesitation, a date was marked on the calendar. To give a good picture of what the store is about and why I’ve been meaning to pay a visit to it, let me explain its name. 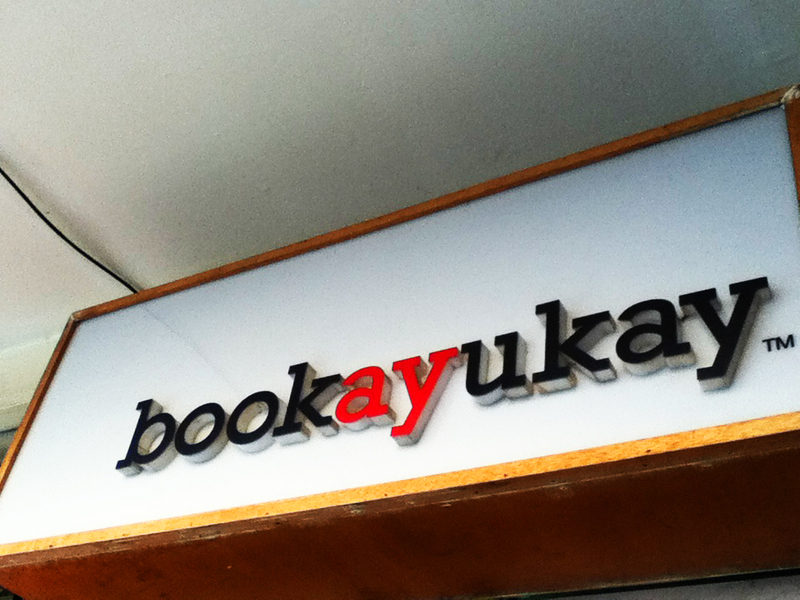 Bookay-Ukay is a play of words certainly thought of by its lovers-of-words owners. “Book” and “ukay-ukay”, those are the two terms. 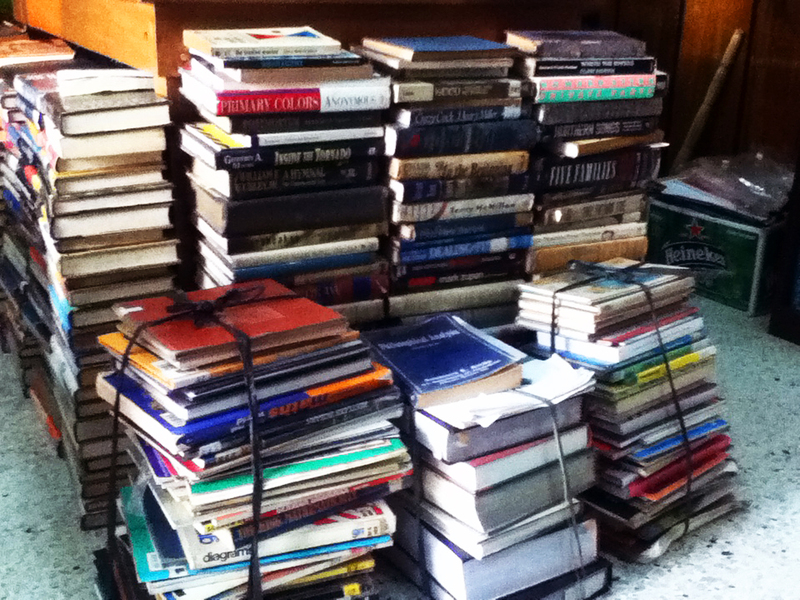 “Book”, we have no problem about its description, but “ukay-ukay” is a Filipino term for “thrift store“, so put them together, and we’ll know that the shop sells second-hand books that are still in good condition. Since settling in Maginhawa St in 2008, it has been visited by cool and book-loving celebrities like Saab Magalona and Mercedes Cabral. Not that I want to look and be labeled cool, I’m actually proud to border on the nerd side, but Bookay-Ukay is a must-visit simply because it has books. And cheaper ones, I must say. I didn’t know it was so easy to get there, but still, I wouldn’t know how to if not for my friend who frequented the area back in college (She studied at Miriam College and its near there.). 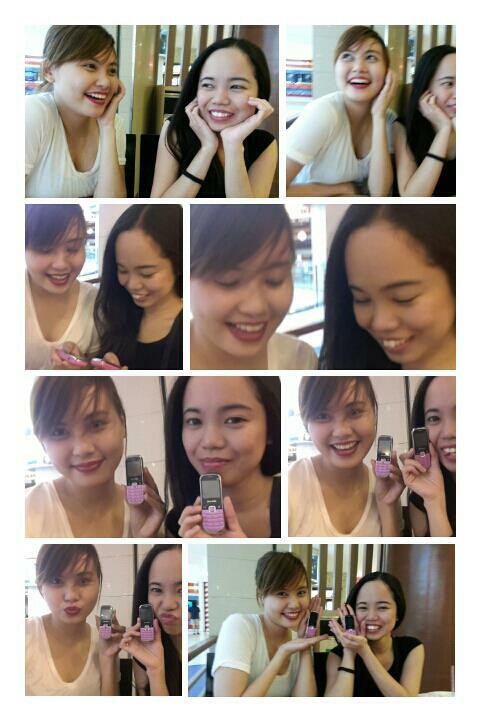 We met at SM City North EDSA and took a jeepney ride to Quezon City Hall from its terminal for 8 pesos each person. After that, we walked to the side of National Housing Authority and told the driver of the first tricycle in line to drop us at the restaurant Tomato Kick for 17 pesos for two persons. As soon as we got off the tricycle, we were greeted by a two-storey old commercial building, and looking at the right side of its second floor is the sign of Bookay-Ukay. We finally arrived. 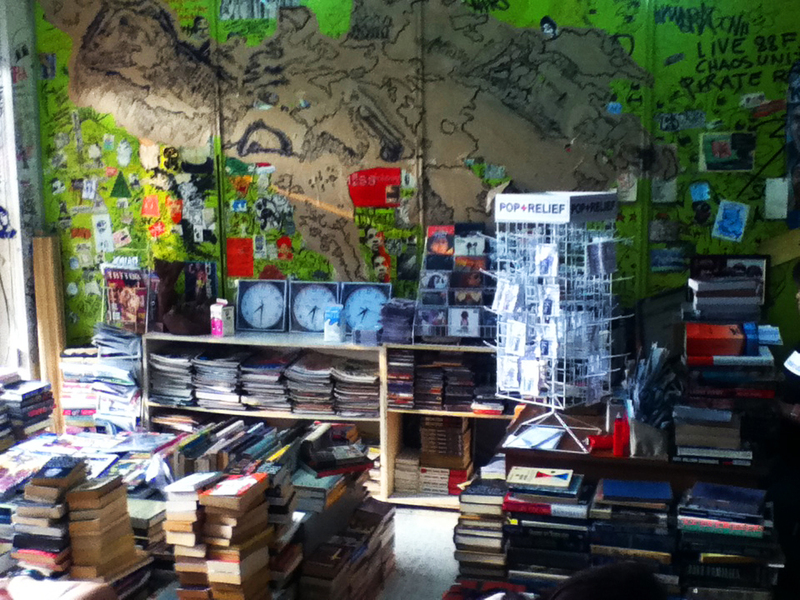 Contrary to what I imagined, the store is quite small, in fact, it’s only a room full of books. Perhaps I visualized it to be like those giant bookstores Fully Booked and National Book Store, which was so wrong of me. But at least its interiors speak of what it offers, unlike the formality and plainness of its rival book thrift store Booksale. 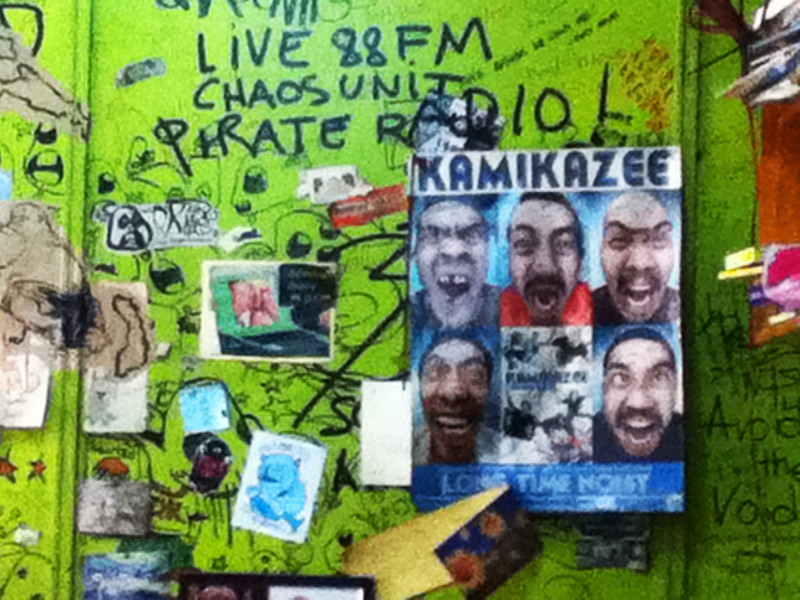 The green wall on the left is filled with doodles and other stuff like a poster of local pop punk band Kamikazee, and the shelves just below contains other stuff sold in the store like magazines, CDs, and wall clocks which numbers are in counter clockwise. 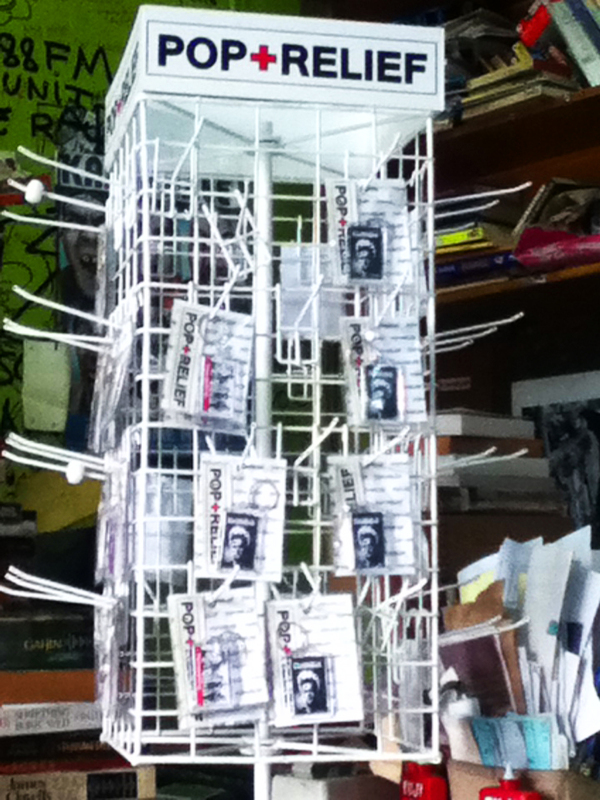 On the counter next to it are key chains from Pop Relief. 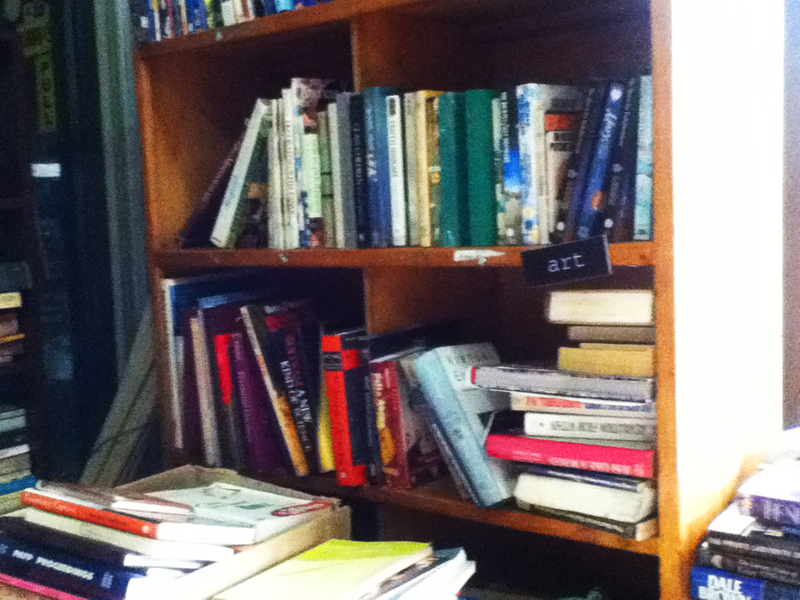 Then after those, everywhere else was filled with nothing but books, books, and yes, books on the shelves resting on the remaining walls and even on the floor. 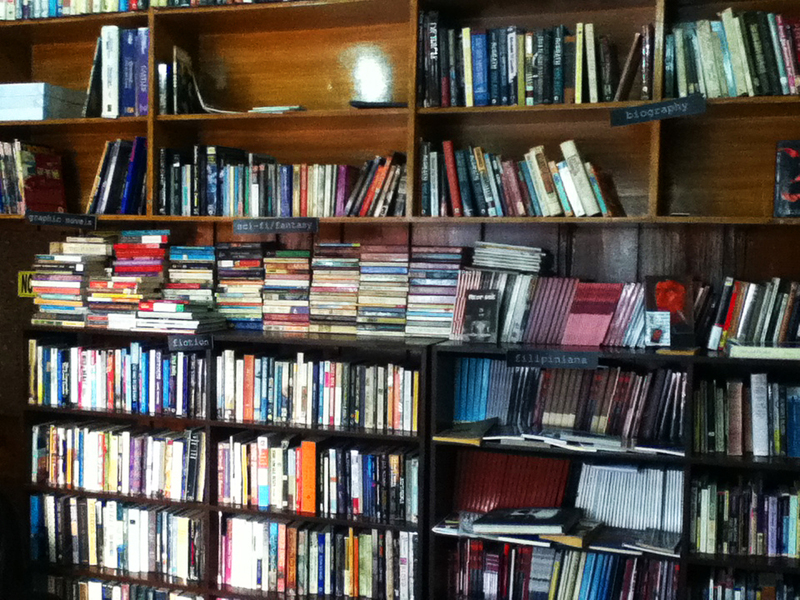 Just the perfect haven for book lovers like me and my friend. For some time, my friend and I seemed strangers to each other as we both engaged in separate solitary quests for the books we like. 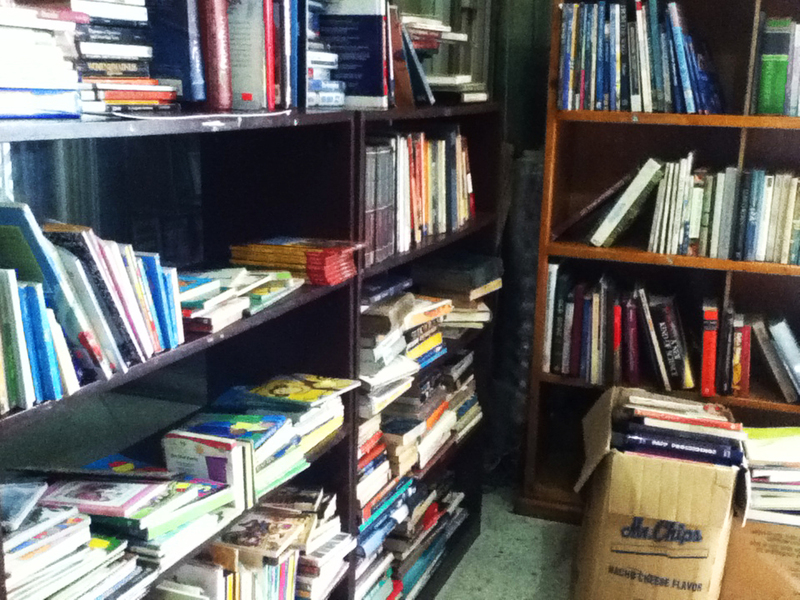 From novels, both local and international, to medical books, Bookay-Ukay has second-hand books for everyone. While I was busy on my hunt, a couple entered the shop and as the guy looked through the shelves, I heard him mutter to his girlfriend in Filipino something like, “I’ll be out of budget again because of books.” Hello there, fellow bookworm! Nice to meet ya! I wanted to tell him, but of course, that’d be crazy. hehe. At the end, I wasn’t able to buy myself a book (Booo! Shame on me!) as I remembered my pile of unread books at home and how I’ll just decrease the chances of finally reading them if I buy more. At least now I know where Bookay-Ukay is. Meanwhile, my friend was able to buy two books for only 350 pesos. 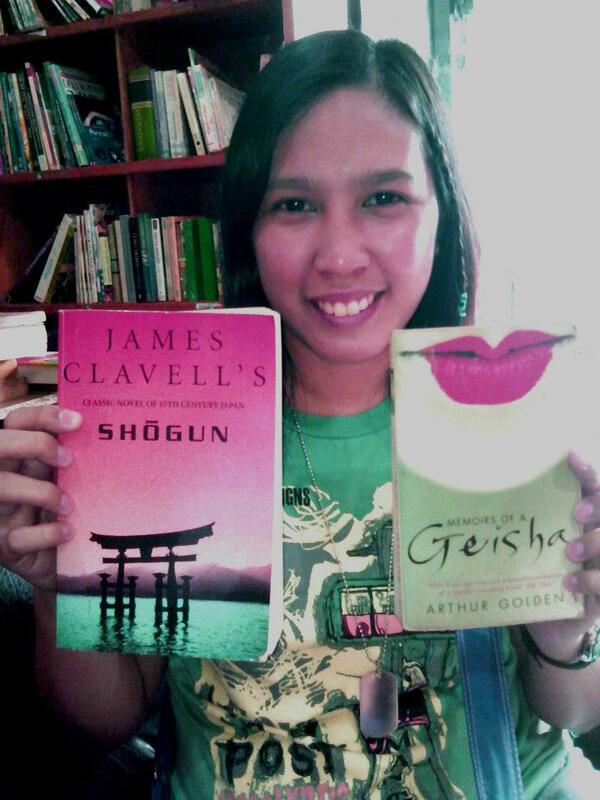 She got James Clavell’s Shōgun and Arthur Golden’s Memoirs of a Geisha, and she was very happy with her finds. Bat those Pretty Lashes for Less! A lot of women spend thousands for beauty, but who says the budget-conscious cannot achieve the same charm? If you want that beautiful eyelashes but don’t know where to get an affordable one, you can head to a Tickles store today for a mascara that only costs 65 pesos. Yes, you read that right, and for that price, you can get the volume and length of eyelashes that you desire. 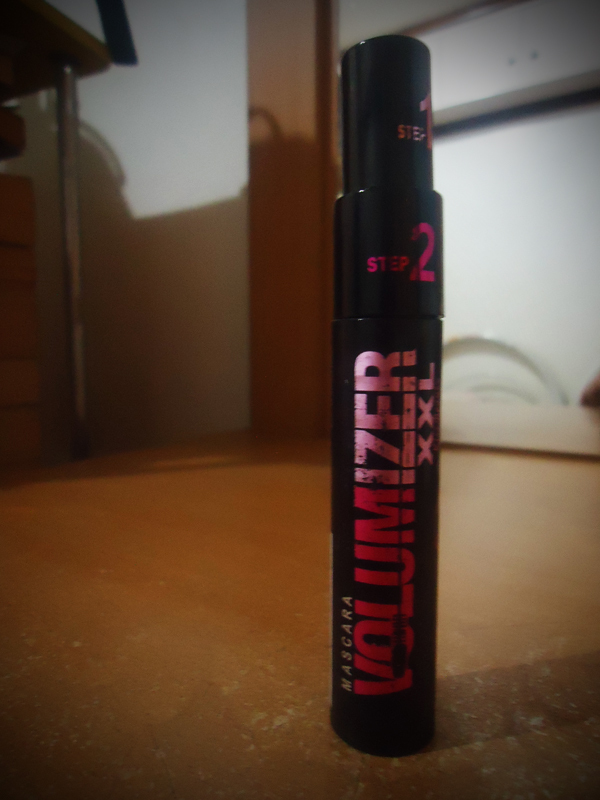 The said mascara, very much similar to Bourjois’ mascara (Only that below the word “Volumizer” is not the brand but “XXL” and beneath it is “Kiss Beauty”), along with some lip balms and lipsticks in cute tubes, are located at the cashier area of the store. Just a little information for those who don’t know Tickles, though: The store isn’t a beauty shop, instead, it sells novelty and cute stuff like eye masks and wallets with eye-catching designs, and more that’ll surely make you want to come back and buy some more. 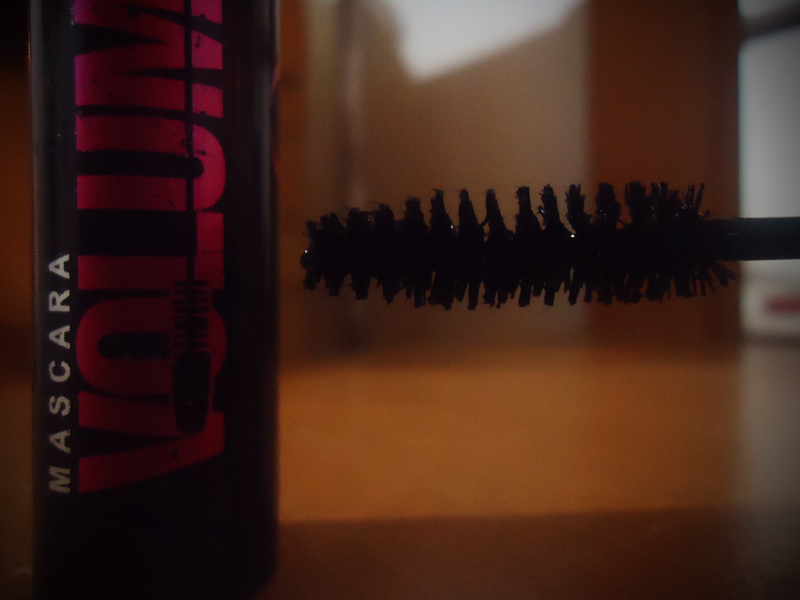 A very affordable two-step volumizer mascara. 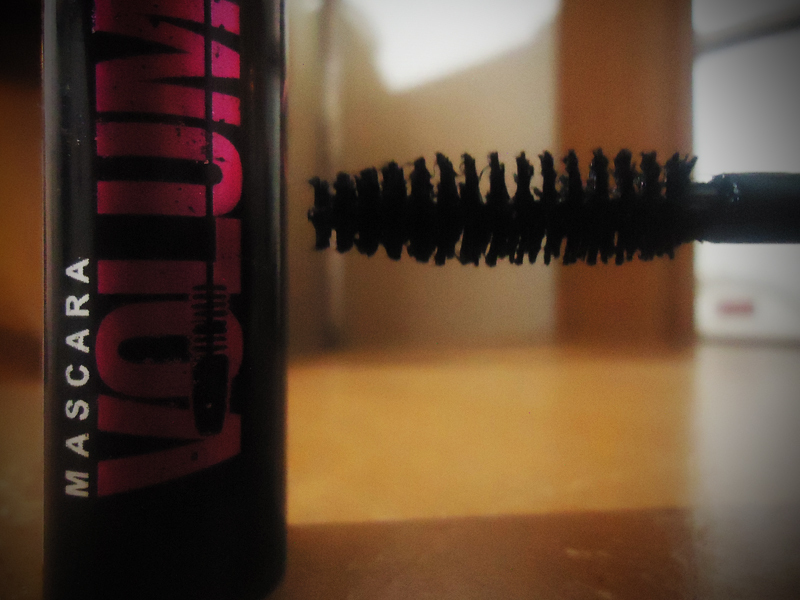 This mascara is like a magic in a tube. Just twist the Step 1 cap and you will see a thin brush (I swear, the brush on the photo above should be thinner. I don’t know what happened.). This does nothing much except for separating the lashes and lengthening them a bit as it prepares them for the next step. Then there comes the next step when you twist open the Step 2 cap. This is actually a wonder since the tube only has one brush, but pull the Step 1 cap, put it back, and then pull the Step 2 cap, and you’ll see the difference in thickness of mascara on the brush. I’ve known this product for more than a year but I still ask myself how that happened until now. Anyway, Step 2 is the one that volumizes and lengthens the eyelashes for that dramatic look. What’s good with this product is that it causes no unnecessary clumps, it is easy to remove, as in it doesn’t make the lashes fall off, all that at a very affordable price. Music is life. So make sure you get a good one. Based on my experience with the two iPods I have bought so far—one is the third generation iPod nano and the other is the fourth generation iPod Touch—I can say that Apple doesn’t exactly offer the best partners for its iPod products. The former gadget’s earphones was broken after a year of usage, while the other was just in four months. Sad, but maybe that’s just the way they are. At least this writer who has the reputation for being a barbaric owner can guarantee the products’ durability. Because of this, I have found myself buying numerous affordable yet above average-quality earphones from time to time and so far, the best among them is the AERIAL 7’s Bullet in-ear earbuds, a pair with ground-breaking bass at an incredibly affordable price of only 660 pesos. It comes with different stylish color combinations: The Circuit with colors white, black, and red, Dark Rasta with black, red, green, and yellow, Tantrum with pink, grey, and white, Storm with purple, blue, black, and yellow, Azzurro, and Shade with colors grey and black. Plugging it up in your ears would allow you to listen to the stereo quality of your favorite music for AERIAL 7’s Bullet boasts of its excellent sound reproduction and in-ear buds to make sure that no external sounds can be heard. 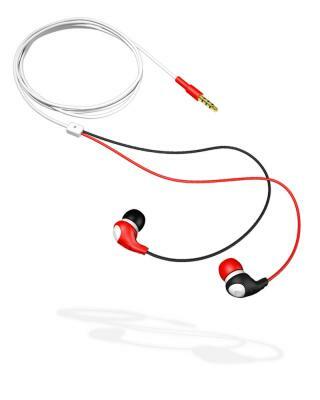 Its package also comes with four optional size ear gels for a sure fit to your ears, and its cable is both soft and pliable giving you comfort whenever you use it. If you want to listen to music with style and great sound quality at a budget price today, AERIAL 7’s Bullet in-ear earbuds is the perfect companion for you portable music. Made of synthetic leather, this Egg item is an eye candy not just for its bright red color, but also for its attractive, creative design. On the side where the decoration is usually placed is a cute ribbon with a touch of color brown, while the other side serves as the bottom, all of which gives the impression of a small gift that’s always inviting you to unwrap. 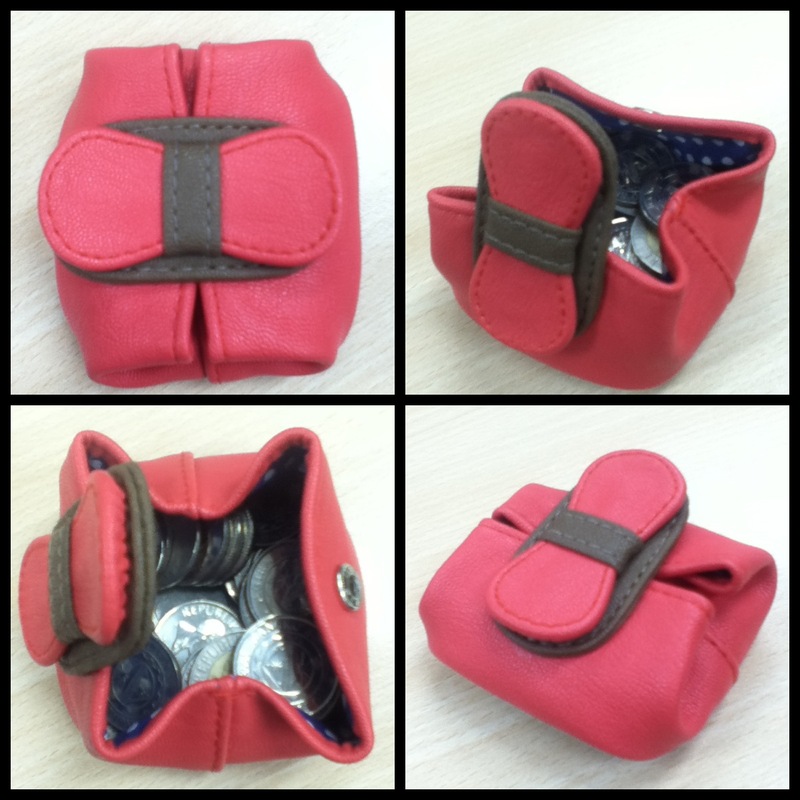 And here’s the twist: Unlike other coin purses, its opening is at the adorned side, just under the ribbon. What you do is simply unfasten the snap button, then you are welcomed inside the pouch, wide open, giving your eyes the access to every coin inside it–which I think is a pro of this purse. This kind of opening gives its user the ease compared to those which openings are on the seam–either with the use of zipper or something else–that results in you fumbling your fingers inside such a small storage, hoping you’re getting the right change you need. 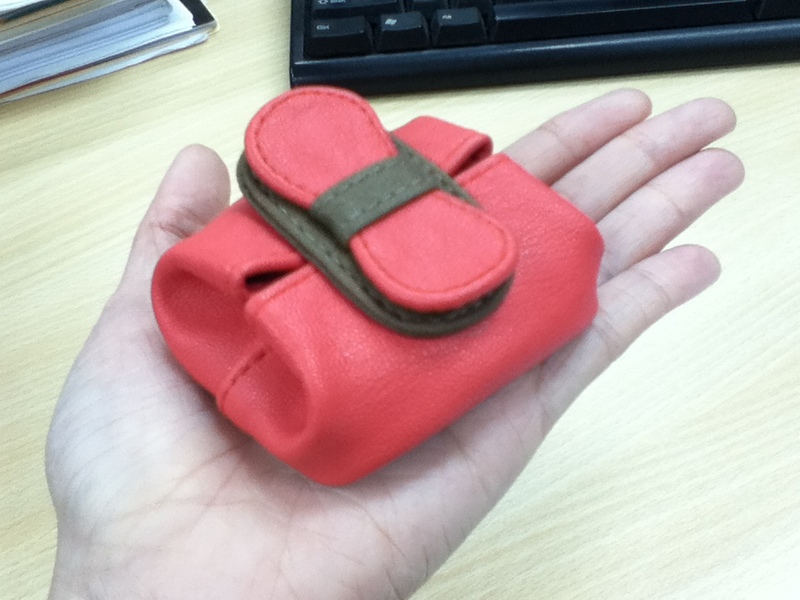 This coin purse first captured my fancy, and my package friend‘s as well, in November. But since we didn’t have the budget for it then, we just promised that we would buy two of them together on a pay day. 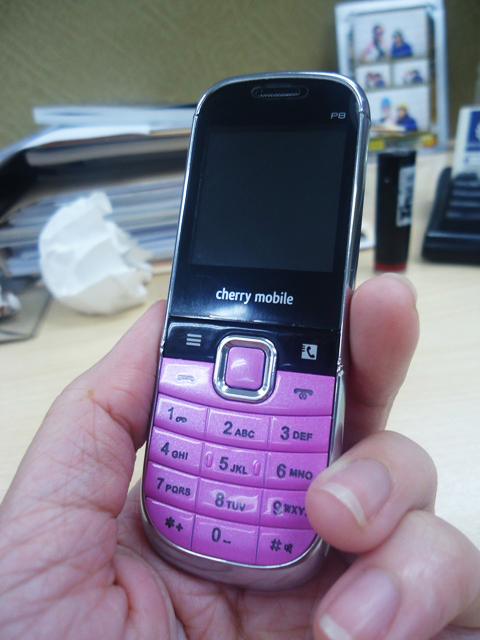 We almost forgot about it, until recently when I went to Egg’s SM Megamall branch, saw a bunch of them on one side, decided to buy two, and gave the pink with beige one as an early Christmas present for my friend. At the price of 200 pesos, you can also give this coin purse to your friends and relatives this Yuletide season, or if you think it’s too cute, you can also buy one for yourself! 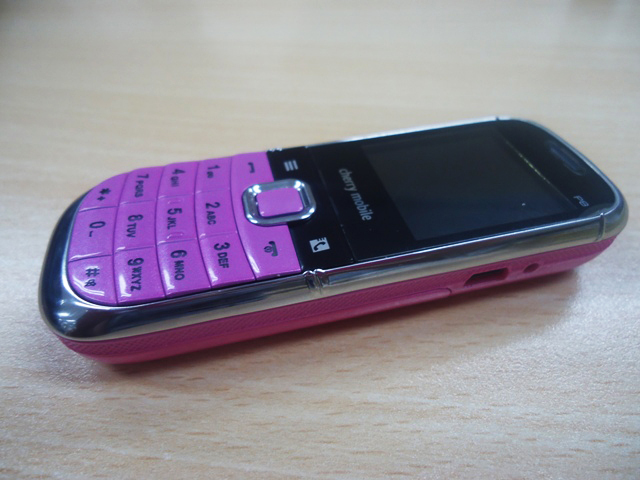 There’s also a wide selection of other items which you can choose from when you visit one of its branches. Not sure if your favorite mall has Egg? You can check out the list below for Egg’s branches and their details. 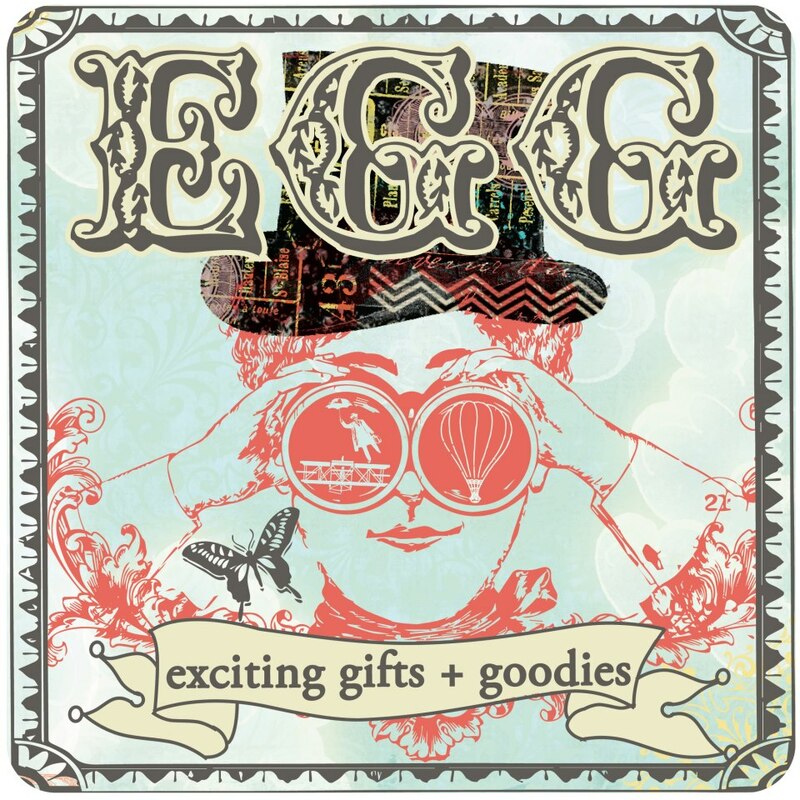 You may also visit Egg’s website at: http://www.regalongpambahay.com/ or like its Facebook page to find out more of its offerings online! 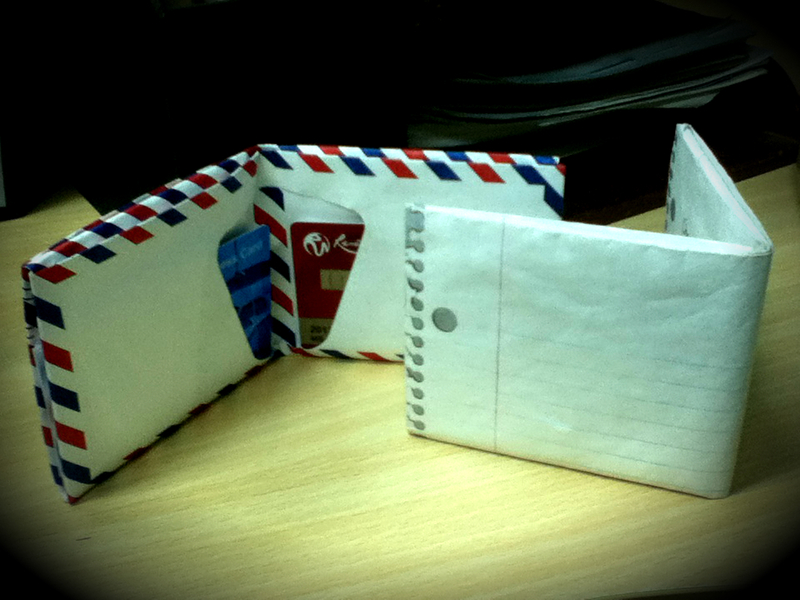 One idle work day, my friend-slash-colleague got so bored we were willing to do anything to kill time. In a time when Mother Nature has been pleading for help, we join the advocacy for being environmentally friendly without sacrificing fun, creativity, and quality. What we’re holding on the photos above are actually Airmail– and 3 Ring Binder-inspired wallets called Mighty Wallet from Brooklyn-based company, Dynomighty Design. These quirky money holders, which are available in various graphics, are 100% eco-friendly, tear-resistant, water-resistant, and stain resistant. First sold at the Museum of Modern Art in New York, a Mighty Wallet is made up of a single sheet of super strong microfiber material called Tyvek, merely folded and not stitched, making it one incredible thin wallet that is expandable enough to store as much stuff you need. 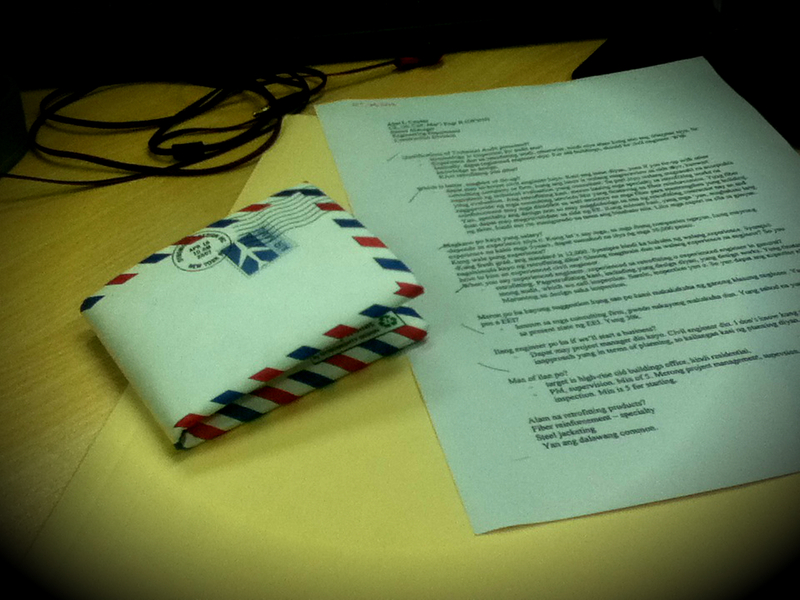 The material is the same with that for express mail envelopes, but thicker, to ensure durability. The inks used are also guaranteed eco-friendly. 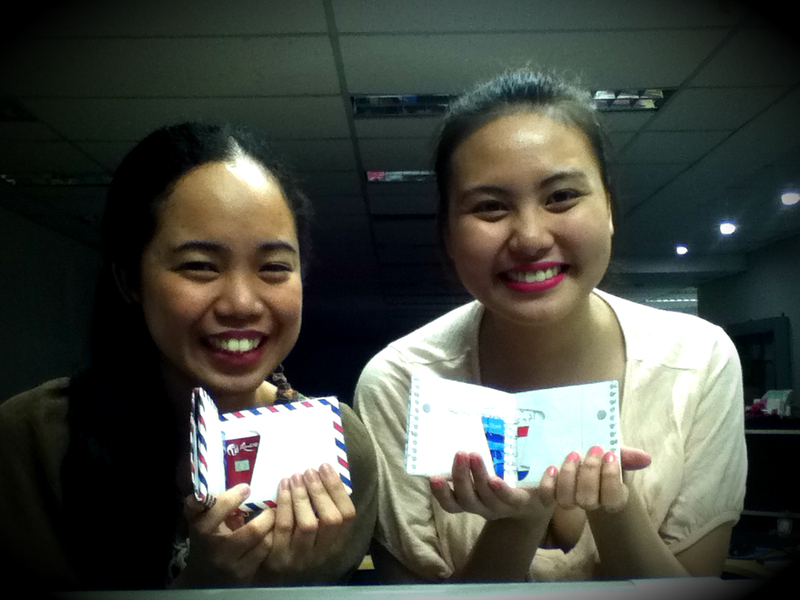 But if its designs are cool, deceiving, and are perfect for people who love making pranks, its proclaimed strength has met questioning facial expressions from officemates we showed our new wallets to. In doubt of Mighty Wallet’s sturdiness? Its packaging, except for the plastic, and a paper containing informative information which is inserted in the wallet itself, are also Tyvek material. If you’re lucky to get a hold of any of these, you can try tearing it with all your power, but I’m very confident that you won’t be able to. Except perhaps if you will use a pair of scissors. There will be wrinkles on the spot, but it will be far from being ripped. You can also spill water on it and even on the wallet, but not too much as the money and business cards inside are surely not made of Tyvek, and you’ll see how a paper amazingly resists the liquid. Its name speaks of the truth, they’re mighty wallets, indeed. Christmas is coming very soon and I know you’re already thinking of and buying presents for your loved ones. How about this? 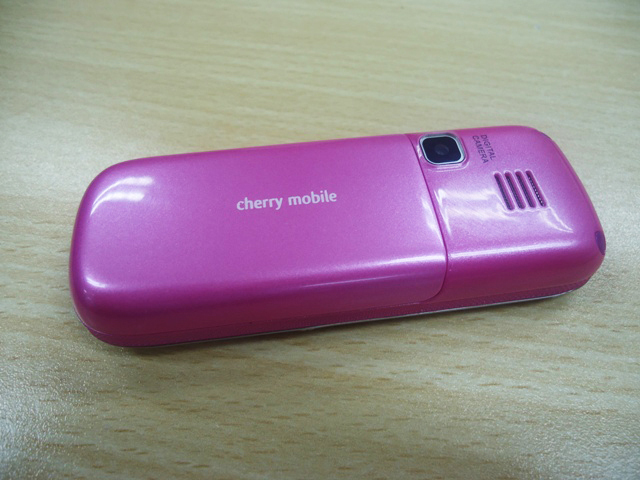 In this Philippines, it is sold at Quirks Novelties and Curiosities at Rockwell Center, Makati City for 696.43 pesos. You can visit the store for more designs, or for your convenience, you may click here. It was just in April of this year when I started wearing lipstick. 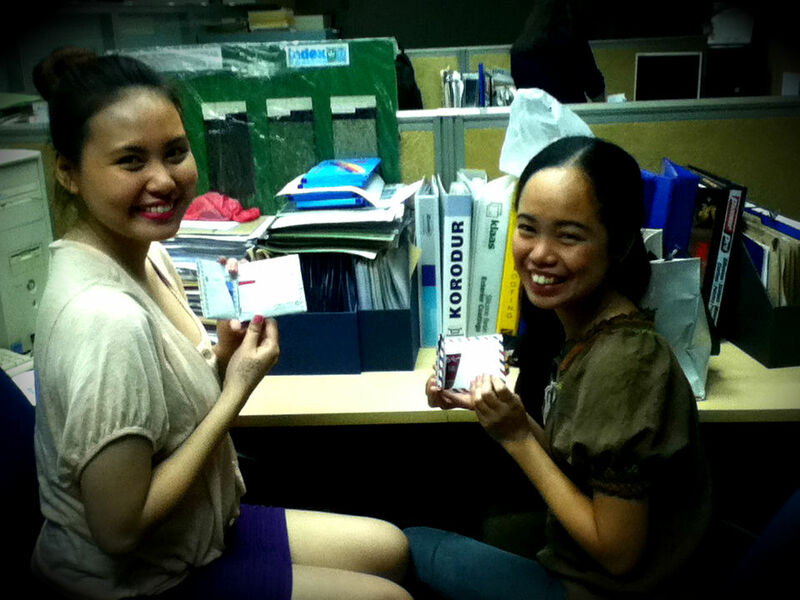 My officemate, who is a close friend and a long-time wearer of red lipsticks, had convinced us, her lady co-workers, to buy inexpensive lippies from NYX online. At first, I wasn’t interested in joining the craze, thinking my lips are way too dry for it and that wearing one would be very uncomfortable. But then my friend pointed to NYX Round Lipstick in Indian Pink and said it would look great on me since its light color fits my “demure” image. I considered what she said for a few minutes, then I thought, hey, it’s only 135 pesos, so why not try it for a change. So the purchase was made and I got my first. ever. lipstick. Oh boy, it’s kinda embarrassing, but it did look good on me and even on my other colleague who also bought the same shade. It makes one’s face bloom! That NYX shade became my official lip color for a few months except when I felt like using the NARS lipstick my close friend gave me some time when we transferred to another job. Then one July night, a seductive little catalogue arrived home with the letters A, V, O, and N on its cover page. I flipped through its contents and was completely hypnotized. And so, it was then when my love for lipsticks was born. I got two from it, was sated, then I bought another one from MAC. I thought of trying a red shade, but I was afraid it wouldn’t look good on me, so to be safe, I purchased a very affordable one from the local brand Fashion 21, then I bought another from a foreign brand, until voilà! 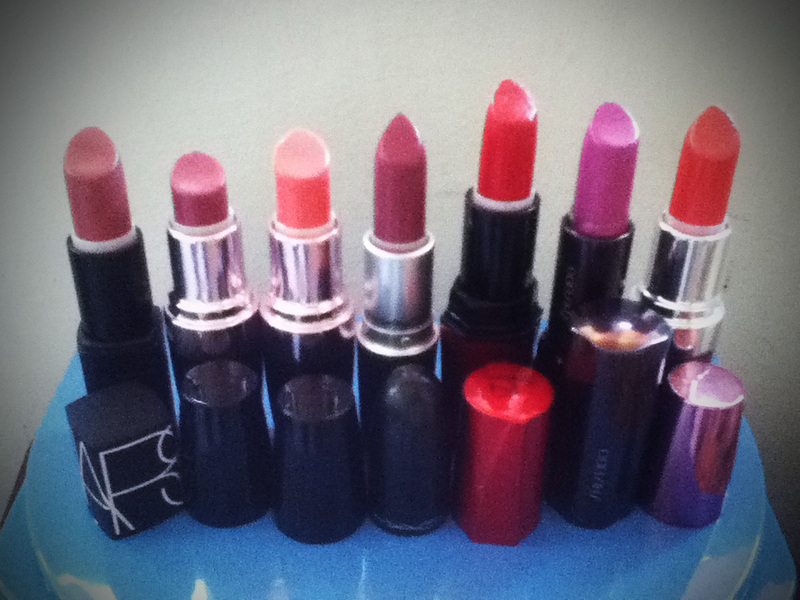 I already have a lipstick collection! It is true that mothers know best, though. When my mom noticed that I buy lipsticks like I was simply changing clothes, she suggested that I stop because it was getting too impractical. She said that there are other better stuff that I can use my hard-earned cash with. I got her point, and it had sense, and so like your regular obedient child, I took her advice. Whew! With dry lips and a great lip color come great responsibility (Whoa. Who would’ve thought it would be just like being Spiderman? O_o). 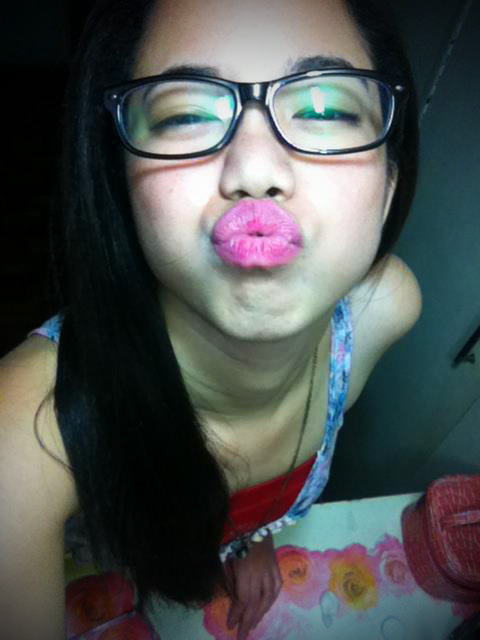 As I said above, I wasn’t into lippies before because I have dry lips (Along with my dry hair, dry skin, and dry eyes. Dry everything.). So just imagine yourself in my shoes. You’re on your way to work and you’re wearing a noticeable fuchsia pink lipstick. You’re so happy about it, but after a while, you feel your lips are getting dry. You’re tempted to lick it but doing so will erase what’s on so you act like a martyr who has mastered the art of self-control for the sake of beauty. Then there comes a cute guy from the opposite direction and he is kind of looking at you. He is your type so you smile at him until you suddenly realize that he may be looking at the horror that is your now chapped fuchsia pink-colored lips. So what happens next is you look away in shame. Not a very good sight for him, not a very good sight, indeed. Tsk tsk. And you just ruined that potential love affair before it even started. (Note: This is purely fictional, okay? There’s no way I can smile to the guy I like like that. 😛 ) Fantastic. Simply fantastic. Devastated, you mull over stopping painting your lips ’cause it’s turning into a discomfort. Yet just like anything else, once you start with it, you can never live without it ever again. So you need another option for this little challenge. But what may it be? Thanks to the pieces of information I got all over the Internet, I now know. If you’re also a lipstick wearer but have lips that are always dehydrated, you may want to continue reading for useful tips on how to take care of your lips without causing you a fortune. Aside from the dry lips itself, there are lipsticks which formulas are very drying and hot on the lips like that one I got from Shiseido. So add those two up and you get double pain in the neck. The solution? Simply put lip balm first about three minutes before you apply your lipstick. That way, it wouldn’t only moisturize your lips, it’ll also make it shimmery (That is, if you’re into that kind of lips). Then before going to bed every night, always put petroleum jelly on and leave it overnight to achieve that soft duckface-worthy lips. 1. Toothbrush. After brushing your teeth, put a small amount of toothpaste, petroleum jelly, or nothing at all on your toothbrush, and gently rub it on your lips in circular motions. Do this for one to two minutes, then put petroleum jelly to moisturize your lips afterward. 2. Sugar. Mix sugar with olive oil or petroleum jelly. Use it as a scrub and gently rub it to your lips in circular motions using your fingertips. After rinsing off with warm water, don’t forget to put petroleum jelly on your lips. 3. Baking Soda. Mix baking soda with water until it resembles a paste. Put it on your lips, then with the use of a toothbrush or your bare fingertips, rub it gently in circular motions for a few minutes, then rinse it off with water. 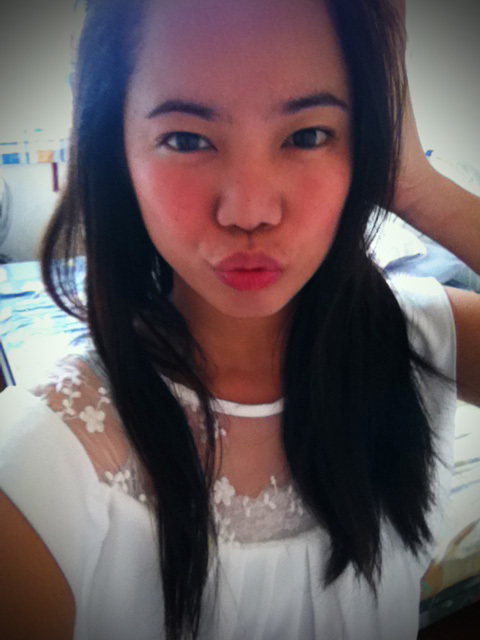 To moisturize your lips, do not forget to apply petroleum jelly. 4. Honey and Sugar. Make a scrub of honey and sugar by mixing both and applying it to your lips, again, in circular motions. Let it stay on for a few minutes, then rinse it off with water. Honey is known to be a natural moisturizer, so by using this method, you won’t need to apply petroleum jelly anymore. So those are the four simple and budget-friendly steps to exfoliate the lips. Whatever method you choose, as long as it’ll get rid of the dead skin on your lips, go, go, go, I support you! haha.